Image: Office of the Parliament. 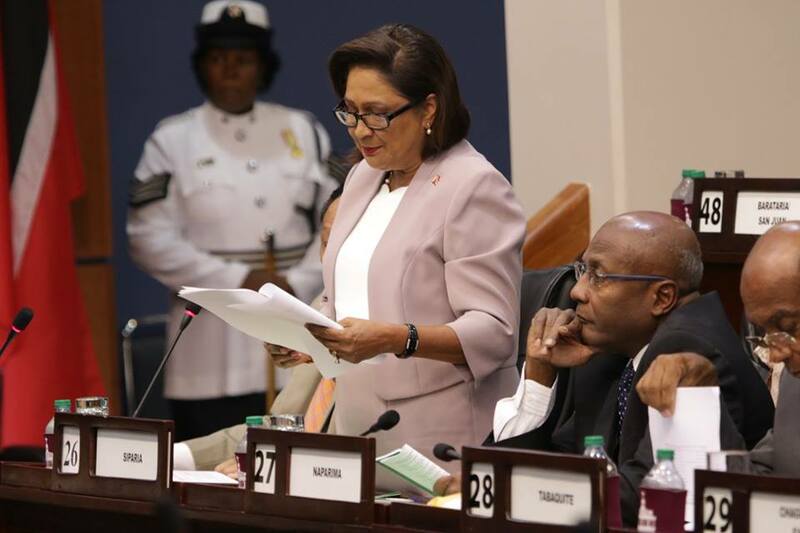 Leader of the Opposition Kamla Persad-Bissessar, SC, MP maintains that critical amendments are required to the Anti-Terrorism Bill, as in its current form, it confers too much power to the Attorney General. In a statement issued today, Mrs. Persad-Bissessar said the Opposition remains committed to supporting good legislation in the country’s interest and which are consistent with our sworn obligation to do right by Trinidad and Tobago and the Constitution. 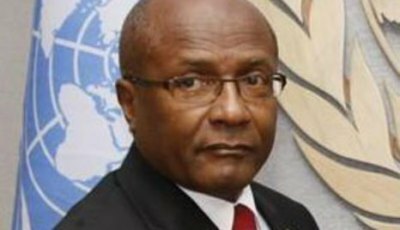 No amount of bullying, childish threats, fear mongering, pavement tactics and proffering of one-sided perspectives by Prime Minister Dr Keith Rowley will sway us from our sacred duty. Accordingly, we are prepared and will, consistent with our international obligations, our duty to protect our fundamental rights and freedoms enshrined in our Constitution, and our adherence to the separation of powers principles, support a revised Anti-Terrorism Bill now before the House. Specifically, once all clauses giving the Attorney General additional powers to intervene prosecutorially in the processes related to the administration of this Bill are removed; the Opposition will support the legislation. This is consistent with the separation of powers concept which demarcates specific and mutually exclusive roles for the legislature, the executive and the judiciary in all democracies. Let me reiterate, to avoid all ambiguity on the matter, we will support the legislation today once the extra powers conferred on the AG are removed. That is a commitment which we give publicly as we go into today’s debate. The Opposition has stated repeatedly that specific and identified clauses in the Bill give the Attorney General powers that are not possible under the Constitution and must be amended. The Attorney General has failed to articulate the specific ill he is seeking to cure by increasing the powers of the office of the Attorney General exponentially. 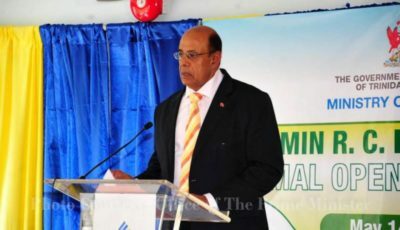 The Opposition has proposed that where the legislation confers powers onto the Attorney General that those powers would be more appropriately housed in the Office of the Director of Public Prosecutions (DPP) for local matters and the Central Authority for international matters. These amendments will not change the material impact of the law but would ensure that we have the appropriate checks and balances on any attempted or perceived political interference. The Opposition cannot in good faith compromise on this principled stance because to do so would be to pass inherently flawed legislation. I call on Dr Rowley to improve the proposed legislation by removing all references to additional powers being conferred on the Attorney General. These can be done consensually without materially affecting the efficacy and impact of the legislation. Understand clearly that the Opposition will not be bullied by pavement tactics by this Prime Minister or his Attorney General. The Government must either take on board our concerns, or take responsibility for the failure of this legislation, and its consequences.